Casey and the band’s story is also featured in the new Mark Moormann feature documentary The Record Man, which chronicles the history of Henry Stone’s T.K. music empire, where KC & the Sunshine Band dominated the Seventies and disco much like the Beatles did with rock and roll in the Sixties. The film is currently making its rounds in the film festival circuit and introducing the Sunshine sound to a younger crop of music lovers. New material is also on the horizon, including a holiday project slated to drop in the fall. 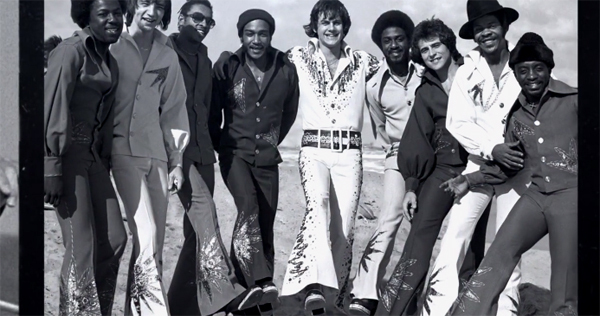 Although many of the original band members are deceased or have moved on to other pastures, today’s Sunshine Band is strong as it’s ever been. It’s a glorious advantage for the 64-year old frontman, who sounds vibrant as ever. In our exclusive interview with Casey, he speaks candidly about the dark period that loomed over his musical output in the 80s and 90s (“Unfortunately I was still a bit f-up, if you wanted to say it.”) and how he overcame the blues. He talks about putting back on his boogie shoes and the inspirations behind his covers’ album. The conversation drifts into long lost tales deserving of his perspective, such as where exactly did George McCrae’s No. 1 pop hit “Rock Your Baby” come from and just how scary it was being labeled a disco artist in the Eighties when disco was deemed a dirty word. Q: Although it’s a bit popular now, a lot of artists avoid recording covers albums for the fear of being labeled a nostalgic act and usually only do such when they are at the twilight of their career. Did you have reserved feelings or reluctance to doing this type of album? No, no at all, because that is not what it was all about for me. It’s really the first part of a two part release and the next part of the release is actually all original material. And what happened was during the shows was I like to play songs that are familiar to the people so I think there was some sixty songs “Love the One You’re With,” “Stand By Me,” “You Are So Beautiful” and I did a ballad version of “I Hear a Symphony” and so when I was making this new album of all original material, I really re-recorded these three songs that I do live because the audience seems to enjoy them tremendously. And the new original stuff was pretty much a lot of uptempo and funky groove stuff on there and there’s definitely some dance stuff which I’ve never even cut a dance record, although I’m like the godfather of that stuff. So I’m finally doing that on the new album. And the album is called Feeling You, Part Two. This is Feeling You, The 60s, so it’s really kind of — and the next part is almost a two-record set actually in the next few more months or so. I’m actually working on a new Christmas album, something I’ve never done before. In November that’s coming out. So I have a lot of things in the works. You know what? What’s so interesting about it; my fortieth anniversary was really in 2013 and I started doing this project in December 2012, right on the eve of this 40th anniversary. It’s not like I haven’t been writing songs over the past ten years or whatever prior to all this — but all of a sudden, it was like I just woke up like out of some kind of coma or something, and I feel just as creative, and even more so, than I did forty years ago. It’s just crazy what’s kinda happening. I had a bad habit of finding and sabotaging anything that looked like it might be something good for me, and I just woke up this one day and decided I’m not fighting it anymore. God has kinda always made my path in all of this, and so I’m just letting whatever happens in life take control of this and whatever the path is, I’m gonna go. I’m not gonna fight it and I’m not gonna stop it. Everything I’m recording now I’m excited about. Then I’m ready to move on to the next chapter and go get back into the studio. I’m getting started to go back into the studio and to finish this Christmas album. It’s got some great songs on there that I’ve written and also some cover versions that we’re gonna be doing and will have a little twist to them. I love being in the studio now. I have an amazing band of musicians around me and an amazing team of people that care about me. It’s all in the right place. Q: This is actually your first album since 1993’s Oh Yeah! That’s a long time away from recording. Why the long hiatus? That album came about because there’s a guy in Europe named Double You and he did a remake of “Please Don’t Go.” And then another group called KWS duplicated his version exactly. So at one point in Europe I had the number one and number two songs on the charts by two different people. The producer and label that had KWS asked me if I wanted to do an album. So I went to Italy and I did this album. Unfortunately I was still a bit f-up, if you wanted to say it. It is what it is. Q: How did you select these songs for this disc? Was there a grueling process on what went on and what was cut on the album? Between the ‘60s album and the original material, it’s been a two year work in progress. Going on almost three years actually, except the 60s album we’ve already released it. It was a fun project. We went into the studio. We went to a rehearsal hall actually and just started rehearsing the songs and getting them down. It was a fun process. Just seeing these songs come to life, so many memories from my childhood and good things happened because of it. Q: You are also a part of the documentary The Record Man, a film paying tribute to the TK record label and the man behind it, Harry Stone. We lost Stone earlier this year. How important was he in shaping your career? Henry kind of let me have control of my own career. I think we were good for each other and shaping what KC and the Sunshine Band became. We worked very well as a team, and he always gave me full creative control and really let me have the reins. I will always be indebtedly grateful of him believing me and reach my dreams. Q: Have you seen it yet? And do you plan to make your rounds at any film festivals? I’ve only seen parts of it. I’m going to a film premiere of it in Albuquerque, New Mexico on June 3, I think. Q: When the band broke out originally in the 70s, you were quickly branded a disco artist. But you were more a R&B guy. Were you ever uncomfortable with being branded and singled out as a disco artist? I was very upset about this new label that they were calling music at the time. I didn’t understand why, because of a movie that came out that took place in a discotheque [Saturday Nigh Fever], all of a sudden they were going to call this new music that I always feel the felt — I really felt it was R&B’s day to shine. It was like a breakthrough for R&B music in the period that we were doing, and we were breaking all these barriers and making it okay for everyone. I really felt that it had been slighted and pushed under the rug; it really upset me. I don’t even know how to explain it, but I didn’t want to be associated with that word “disco” and neither did Donna Summer. We fought with this for many years until, you know…you finally just have to accept it even though we were unhappy with that decision. Q: One of the classic tales that I think most disco historians have had a tough time writing about is how exactly “Rock Your Baby” came to be. That song put you and your writing partner Rick Finch on the map as songwriters and in some cases even introduced the world to the Miami Sunshine Sound. I have interviewed both George and Gwen McCrae, and they both have different stories on how that song came to be. Gwen said it was originally hers, George had a different story. How did that song come to be? I was working on a new KC and the Sunshine Band album and upstairs — remember Timmy Thomas’s “Why Can’t We Live Together” — he recorded that album, that song on a Lowrey organ. It had a beat box on it. The organs [that were] coming out at the time was starting to come with these rhythm machines attached to them. And his organ was up in the studio this particular night and I was in the middle of working on KC and the Sunshine Band stuff and I found this rhythm samba or whatever it was. All off sudden I started writing this song. Rick came in and put some drums and the bass line on it. From the moment I heard the track’s playback, I knew that it was really something special, but I also knew that it wasn’t for me. It just wasn’t in the theme of what I thought KC and the Sunshine Band was, with the horns and with all of that sort of stuff. So I looked for someone else to sing the song. I think it was originally scheduled for Jimmy “Bo” Horne, but he missed the appointment. And I was in Henry’s office and George McCrae came walking in wanting to do some business with Gwen McCrae. He kind of had some records on TK, and I think they used to please him because he was married to Gwen. She was the main artist they were concentrating on; an amazing lady and an amazing voice. And so I just thought George was the right voice for it. I know the real story. It’s amazing how everyone’s interpreted how it all happened. And it never happened the way they interpreted. Q: What do you say to critics who try to downplay the Miami Sound? I don’t know why there’s such a hate for us, for our music, why critics want to dismiss it, to say it had no substance — that I don’t understand. A lot of times the critics were not into it. They were into rock ‘n roll. Q: Do you have a favorite song on Feeling You: The 60s? Wow. I don’t know. They all mean something special to me and I did all these songs as a musical diary of my life. I did “(There’s) Always Something There to Remind Me” because I’m sixty-four now and many people have passed on and [have] come in and out of my life. There’s not a day that goes by that I don’t walk around somewhere and look up in the sky or look at a tree or a plant, or being in a [different] city that they come into my mind. So I felt that this was just a song that I needed to sing about. “Blowin’ in the Wind” – with all the craziness that is going on, whether it is in Baltimore or in Ferguson, or Iran or Iraq, the answer is still blowing in the wind. You would think that after all these years that we all would have found the answers to fix them and we haven’t. I felt this song was very relevant to what is going on right now in 2015. Q: I also like the fact that you choose songs that I felt were a bit non-traditional in the covers’ realm. Like [Allman Brothers]’ “Dreams,” which you added a funk beat to. What was the inspiration behind that? You know what, I loved Buddy Miles. He [was] one of the amazing people you would ever want to meet. And he was part of the Jimi Hendrix Experience. When he put out these albums, he did [one called] Them Changes. Well, on this one particular album, I really used his version, [but] with our take on it. It’s really Miles’ version. Q: You re-recorded one of the most legendary duet songs of the rock and roll era, “You’ve Lost that Loving Feeling.” What was it like singing with Jason Scheff of Chicago? Here’s how it all went down. I went to see Chicago. I was in Hawaii at the time; they were performing there and I went to see them and went backstage. Jason and I made this connection and we stayed in touch. And he said, “If you ever want me to do any background or anything, you just call.” And so when I did this song, I thought, “I think I’m going to call Jason and see if he’ll be interested in doing the other part with me.” So I sent him the song and he said sure. He put his vocal on it, sent it back to me and we mixed it in. That’s how it’s done today. We can do recording sessions through Skype today. It’s crazy. It’s really amazing on where modern technology is taking us. Q: What I miss most about older albums is that you could find liner notes and all kinds of stuff packaged inside them. One of the questions that I wanted to know was where were the songs recorded? Remember the Inner Circle group (“Bad Boys”)? They’re really good friends of mine. They own a huge studio. They bought a bunch of houses down in Miami and they turned them into studios. And everybody – Usher, Michael, Janet Jackson, Drake, Flo Rida, you name it – so I felt like I’m at home when I’m there. That’s where the album was recorded. I noticed you also recorded a number of Motown songs. It was hard to do this album without making it entirely a Motown album. Q: You’ve recorded a number of Motown remakes throughout your career, like “It’s the Same Old Song” and “Dancin’ in the Streets” with Teri DeSario. You also sung “I Hear a Symphony” as a soulful love ballad. I think it’s your most vulnerable and emotional vocal ever. A different kind of song for the upbeat, funky, ‘Shake Your Booty’ man. 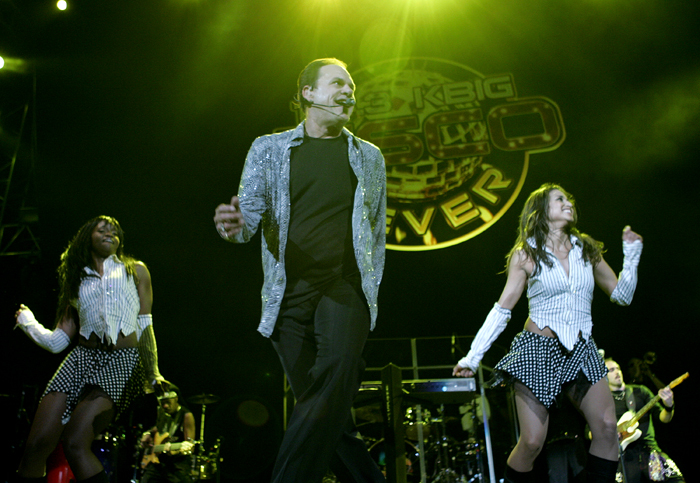 Were you trying to show a different side to Harry Wayne Casey to your fans? You know what. I always loved that song for some crazy reason. And to pay attention to the words, I felt like slowing it down. Those words get lost in the uptempo version of the song. The more I listen to them, I felt me in that song and what I had to say. It was just the right thing to do. The words are what’s important in a song and those are some beautiful words that Holland, Dozier & Holland wrote. Everything they wrote was amazing. And the way I do it, I think you pay more attention to the words than anything else. Q: In the last couple of years, we’ve seen a growing number of artists and music lovers becoming more enamored with classic disco music and R&B. From Daft Punk to Nile Rodgers…and then with “Uptown Funk. Do you think this idea to record nostalgia-feeling music and disco-influenced tracks are just a fad or is it here to stay? People are realizing that the music from the past is great music. If you listen to the songs today, people are saying oh that’s a Phil Spector record, that sounds like a KC & the Sunshine Band record, that sounds like Kool & the Gang, that sounds like Earth, Wind & Fire. It’s all there. You can’t dismiss this period of time. You can’t dismiss the great music of the 50s, 60s and 70s. You can’t. People are realizing that that was real music, and people want to hear real music again. And that’s why it’s coming back — the youth, the young people are looking for real music again. Like Pandora Music, it’s turning people on to new stuff. 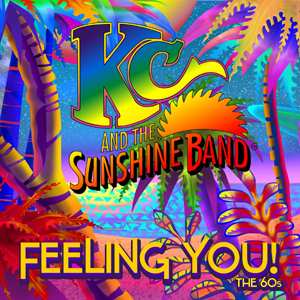 Read our album review of KC & the Sunshine Band’s album, Feeling You: The 60’s.